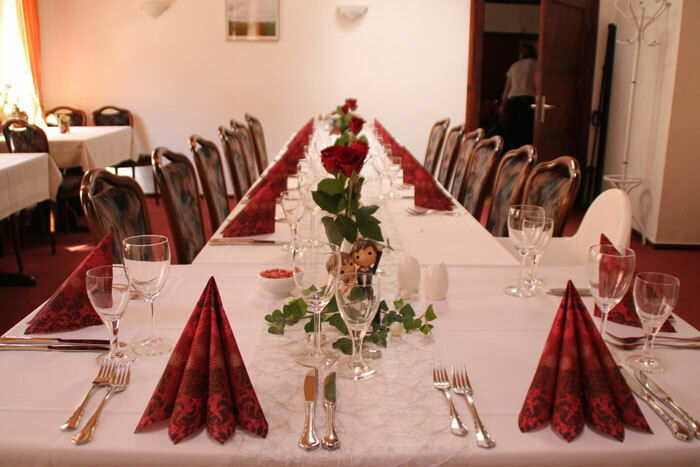 We offer for special occasions, for example meetings, birthday parties, weddings, anniversaries of all kind or other events a seperate room with max. 30 seats. We are on hand to help you organize personalised menus and table decoration. We also can organize cakes for your festive coffee table. For further information our friendly team is always at your disposal.